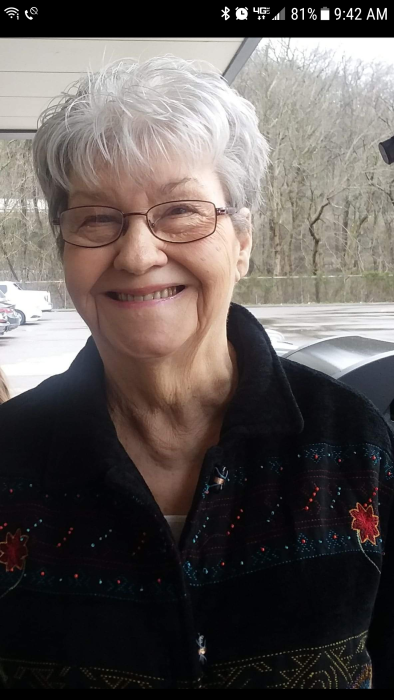 Audrey Cooper, 78, of Joes Creek, WV went to her heavenly home on January 27, 2019. She was a long-term attendee of the Nazarene Church of Seth, WV. She was preceded in death by her parents, Ethel and Roy May; her loving husband, Edward Cooper, a grandson, Caleb Mullins and two granddaughters, Jessie Mullins and Meagan Reed; siblings, Alberta May, Leon May, Helen Lacy, Dennis May. She was a loving mother of five daughters, Sharon Mullins(Steve), Deborah Bishop, Patty Cooper, Alice Cooper and Lisa Harris(David), two sons, Frank(Janet) and Kevin(Amy) Cooper; loving grandmother of Michael Jones, Frank and Brenton Cooper, Chastin Cooper, Audrey Ortiz, Nikki Reed, Carl and Colten Harris, Jordan and Dylan Richmond and Zoie Hess; great grandmother of 9 boys, 5 girls, surviving 6 sisters and 3 brothers.